It makes sense that the things you use to clean everything else would be the dirtiest, right? Sponges and dishcloths can harbor lots of bacteria, and the last thing you want to do is to spread the nasties around. So, between uses, heat your cloths and sponges in the microwave to zap bacteria. About 30 seconds on high should do the trick! This is one of the messiest areas in our kitchen! I have a toddler who’s learning to clean up his own plates, which naturally means we have spills around the trashcan on a daily basis. 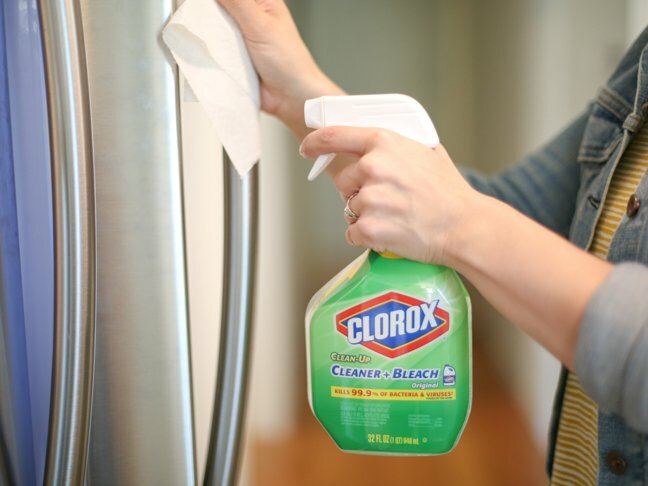 Clorox Clean Up Spray Cleaner + Bleach gets rid of the mess. Spray your trashcan, too, while you’re at it. Let it sit for 30 seconds and then wipe it all clean. 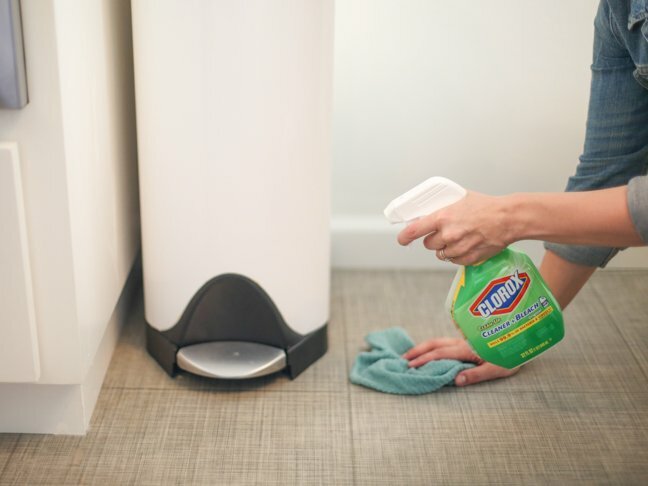 It’ll banish food stains, disinfect the area, and leave it smelling super fresh. Sometimes the smallest things get the ickiest. Can openers can hang onto food particles from cans, which spoil or rust on the teeth of the opener. If your can opener is dishwasher safe, pop it in there with your next load of dishes. If it’s not, hand wash it with warm soapy water and let it air dry. Don’t forget to rinse it after each use as well. 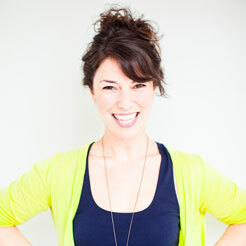 Here’s another sneaky one! 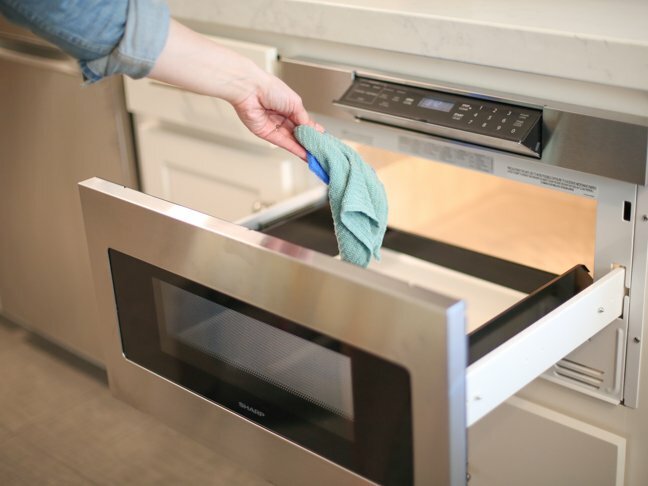 Your dishwasher does all the dirty work for you, but sometimes it needs a little TLC. 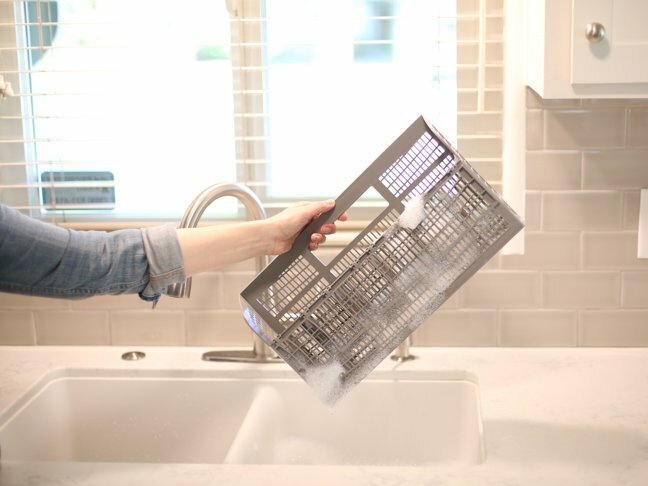 Before you wash your next load of dishes, remove the silverware tray and let it soak in hot soapy water in the sink for a few minutes. Give it a scrub and rinse with cool water before returning it to the dishwasher. I don’t even want to think about what kind of bacteria you can find on a refrigerator door handle! Considering how many times it’s handled daily, it’s bound to be…gross. 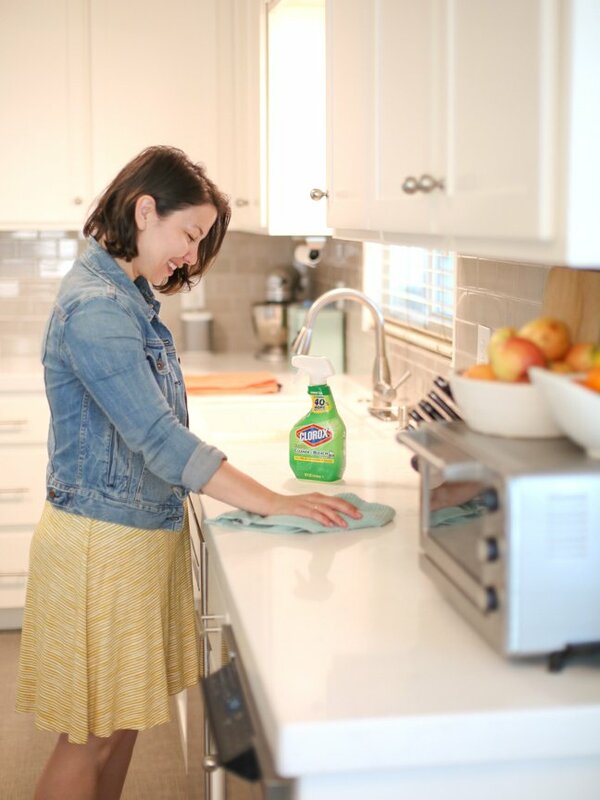 So clean it daily with Clorox Clean Up Spray Cleaner + Bleach to banish the yucky stuff. 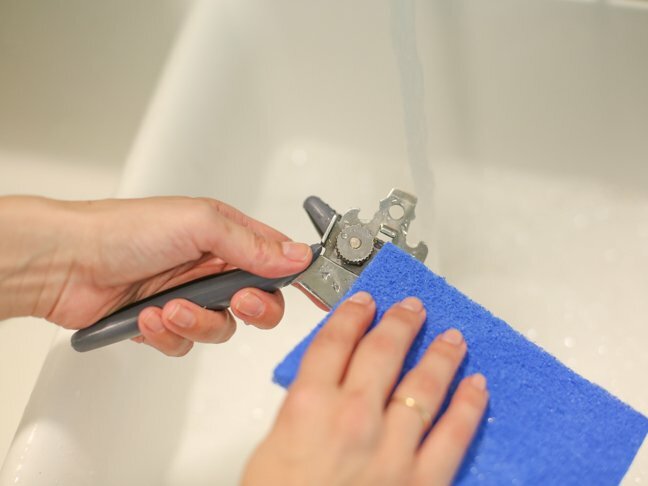 Spritz the cleaner onto a paper towel and wipe down the handles, to avoid spraying refrigerator doors. Make sure to wipe the back sides of the handles as well. Wood cutting boards are a handy addition to any kitchen but they’re also a hotbed for bacteria from food. After each use, scrub the cutting board surface with hot soapy water and rinse with cool water. Dry the board with an absorbent towel to remove as much water as possible; this will help extend the life of your cutting board as well. Ta-da! It feels so nice to tackle all of these little spots and get everything freshened up. And now that the kitchen is sparkling clean, we can focus on more important things. Like what in the world we’re making for dinner tonight.